Purpose: Take one big ugly flat sheet of foam and fly it rudderless. Add a KK2 controller board, 2 E Flite 370 motors, pick the correct direction of rotation, set of elevons and it flies. The elevons controlled roll and pitch. The two motors used differential thrust (one motor adds RPM and the other reduces, producing yaw). Now, program the KK2 board for that lightning speed to adjust and control the UFO, and you have that UGLY FLYING OBJECT GOING ABOUT IN THE SKY. This was my first KK2 project that I attempted. Those who have seen my other projects know I can attempt to scratchbuild, but I lack the talent to finalize the looks of my product. It doesn't help to fly blue foam in a grey sky or blue sky without any color contrast. OK, on flight 3, took out KK2 board, put in differential thrust, and launch by hand. Up it went, stalled out, rolled and bit the dust. No need to see that video. Tried a EDF with 4s 70 mm EDF called "THE SLED' and never accomplished a turn. If you decide to build a rudderless plane, find the solution to the yaw problem first. If you turn it 90 degrees, you'll have the foundation for a flying carpet. Yeah, if I get it to go real fast, maybe I can get ripples to then look like a flying carpet. Then it's back to a verticle stabilizer. 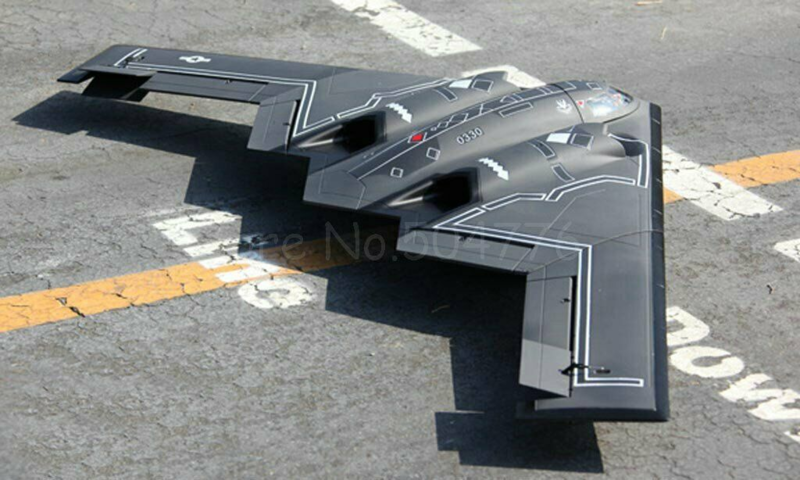 When I designed, my X-47B, the research was saying that with gear down, the skin of the airplane surrounding the wheel and gear, being vertical, lessened the yaw problem. So, if you want the rudderless plane, one way is to build it with landing gear and slap a vertical component and see if it works. 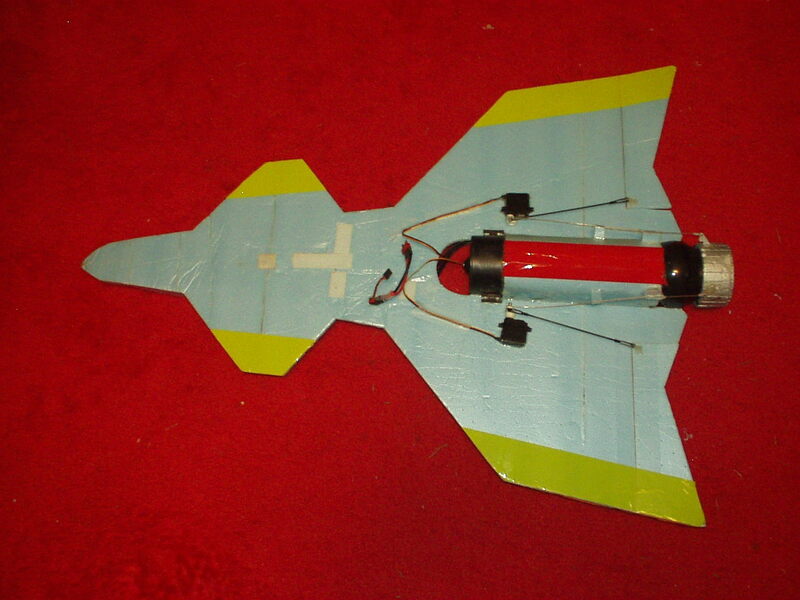 no...make the control surfaces on the tail in 2 pieces that can split. You put drag behind the center of mass, which helps pull the aircraft straight. Couple with a gyro so whatever way the nose is pointing from relative airflow, the opposite duckeron opens, and viola. Should look like this (note the controls near the wingtips) There is no vertical stabilizer involved, and the only reason you would use a duckeron on a vertical stab would be for an airbrake. Alternatively, look at your design. Notice how many of those zagi wings you see flying have little to no wingspan? That swept wing acts as its own stabilizer when you use a thicker airfoil and higher sweep. Basically, if you induce a rotation on yaw, you wind up with the wing opposite of the turn in a straighter angle, and the wing in the turning side at a sharper angle, meaning the wing on the turning side has less drag and so the wing against the turning side recedes, self-stabilizing. Your x-47b would take some advantage of this. However, both of these designs would probably benefit from duckerons, especially the flying board, since that has no sweep. First of all, that is my "SLED" which is a testbed and not a X-47B design. Using the term "duckerons" and mechanically put them on a model will cause problems in all 3 axis. Deflect 1 or both will cause all 3 axis (roll, pitch,yaw) to change especially in pitch. I bet that would take careful design and use of a flight controller to get that right. All I was trying to show was you need to find another way to resolve the yaw issue to make it simple. The UFO still is a bear to handle. Noticed it wasn't flying in any wind. I doubt it. 7 years ago, I tried this. PITA!!!!!! !